Quick Hoot HOT Summer, Best Time to Paddle! Quick Hoot – HOT Summer – Best Time To Paddle! Here’s a golden summer opportunity to join us for a traditional White Squall kayak and camp trip with our top guides Jocey Simon, Emily Beirnes and Brian Beitz. Joining them is Gerard Courtin, our friend and leader of Squall ecology trips for over 20 years. A beauty trip with one place waiting for you – call asap 705-342-5324. 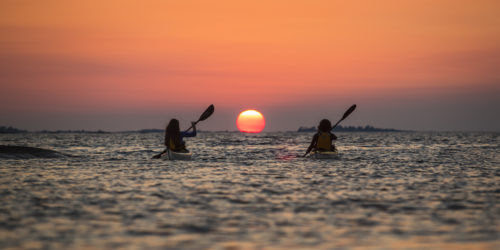 Planning to paddle the northeast corner of the Bay? DON’T. From Henvy Inlet north to the west side of the Bustards is a “No Go” zone. Anywhere on the Bay or inland bush – if you light a campfire, you risk both a $25,000 fine and a few months in jail. Paddle softly, stay away from the northeastern coast and do as yer told – like our mommas told us. A good place to get updates, is the MNRF site here: https://www.ontario.ca/page/forest-fires. So a quarter-horse walks into a bar. bartender says…. “why the short face’? We can take you off – just hit reply and say “bad joke tim”. Want more? Just hang on to your hat and your keyboard buckwheats and we’ll ride off into the western sun together.